The Chief Executive Officer of the Bahrain Tourism and Exhibitions Authority (BTEA), H.E. 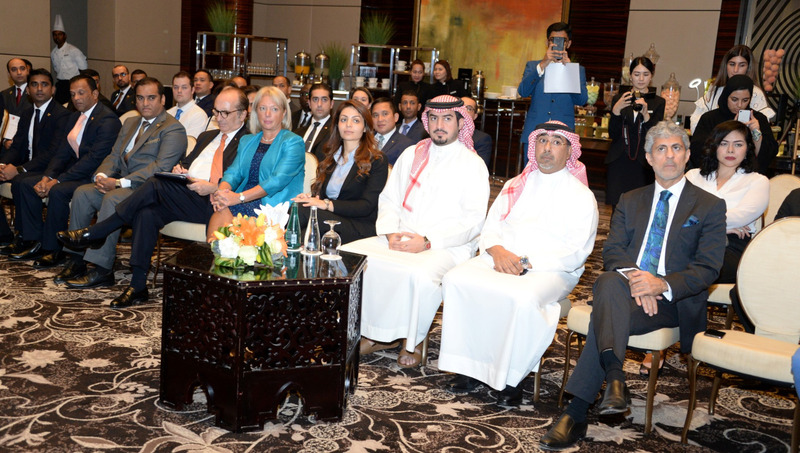 Shaikh Khaled bin Humood Al Khalifa, attended the ‘Les Clefs d’Or’ pinning ceremony organized by the Bahrain Hotels Concierge Group (BHCG) at Four Seasons Hotel Bahrain Bay on the 17th of July 2018. “I would like to congratulate all those awarded with the Les Clefs d’Or which acts as recognition of a concierge’s knowledge as well as meeting world-class standards in attending to the needs of guests and enhancing their overall experience during their stay. We look forward to recognizing outstanding concierges in the future,” said the CEO of BTEA, H.E. Shaikh Khaled bin Humood Al Khalifa.